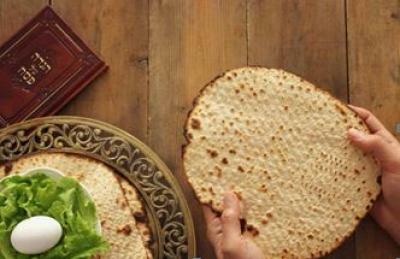 Over the years, as more and more Jews wished to observe the yom tov, demand for Pesach products grew. Today the Overseas Passover Campaign continues to fill a real need. “For Agudas Yisroel, the Overseas Passover Campaign is a sacred mission," says Rabbi Shlomo Gertzulin, Agudah's vice president for finance and administration, emeritus, who administered this campaign for many years. Campaign Chairman Avrohom Schonberger echoes this thought: "There are many organizations here in the United States which provide aniyei ircha with matzah and other Pesach necessities. We take care of those who seem to have been forgotten to ensure that all yidden have the opportunity to properly observe Pesach." Rabbi Gertzulin explains that the Overseas Passover Campaign has made a real difference in the lives of many Jews living abroad. "Over the years, our campaign has distributed millions of dollars of matzah, grape juice, and other Pesach products to tens of thousands of impoverished Jews who, even today, live in the former Soviet Union and in other countries once behind the Iron Curtain. The fall of communism brought thousands of Jews into the open, and reignited their hearts to observance of Yiddishkeit." Agudas Yisroel is grateful to work with some wonderful partners, organizations in Russia, Ukraine, Belarus, and other countries, which distribute the supplies for the Agudah. "These organizations act as our shluchim; together we are able to help Jews keep Pesach," says Rabbi Gertzulin. Throughout the decades, Jews all over the world without the means to make the yom tov have struggled to keep a kosher Pesach. Agudas Yisroel was with these yidden when it was illegal to be Jewish in Soviet Russia; they were with them when open observance was possible but still required effort; and they are with them now when political and economic upheaval adds another layer of challenge to preparing for Pesach.